Garage organization is tough because garages often become a sort of dumping ground for items like bicycles, golf clubs and tools. If you have too many of these things, then you may not have space for your car. These 10 genius garage organization ideas will help you regain your space and make it possible for you to find what you need when you need it. With tracks, your garage walls can become your storage space. Along with opening up additional space, tracks can also give you a spot for everything, providing the perfect garage organization system. Smaller garages require creativity, which means looking above you. Install overhead storage frames. You can install the rack kind that allows you to place bins and things on them. Or, you can mount custom ones to hold items like surfboards and skiing equipment. Leaning bikes against your garage wall is dangerous since they can easily tip over. Instead, put in a steel rack. They are easy to install, and once in place, you’ll have plenty of room in your garage. A variety of bike mounts are available from Amazon. Depending on the amount of space you have in your garage, a filing cabinet storage system may be better garage organization than hanging ones. With a little tweaking, you’ll have the perfect place to store your shovels, rakes and brooms. If you are a DIYer, then you are in need of a paint station. A steel pegboard is the perfect place for your tape, rollers and brushes. Dedicated storage spaces make finding what you need easy. 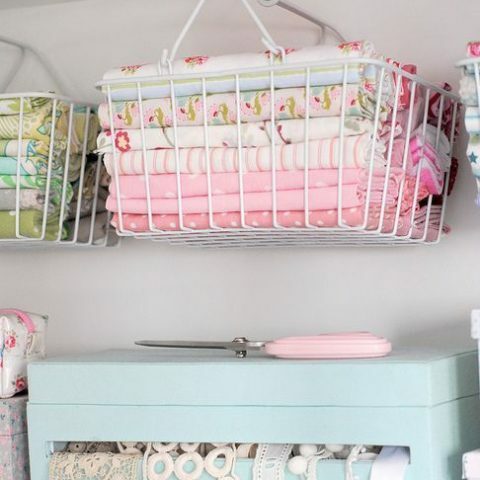 Clever organization ideas include installing rollers to hold garbage bags. This will give you easy access to them. It will also tidy up the inside of your garage, freeing up space for your cars. If your family enjoys playing sports, then you may have a variety of balls rolling around in your garage, taking up space. To reclaim it, make a ball cage. By adding a ball cage to your garage, cleanup becomes easier. It also declutters the space. If you have a lot of stuff that you need to store in your garage, then you’ll need a shelving unit. This type of system will help you stay organized. It will also give you a place to put random items. Instead of sorting through toolboxes and drawers looking for that one special tool, place them on a magnetic strip. It will keep all of your gear tidy and visible, giving you extra storage space in your garage. Hooks are a handy way to store all kinds of gear. From hoses to rakes, hooks can hold them all. Not only can they hold various pieces of gardening gear, but they are also easy to install and take up little space. You’ll find different sized hooks at Hardware World. Ideas for garage storage organization came from House Beautiful, Popular Mechanics and hgtv.